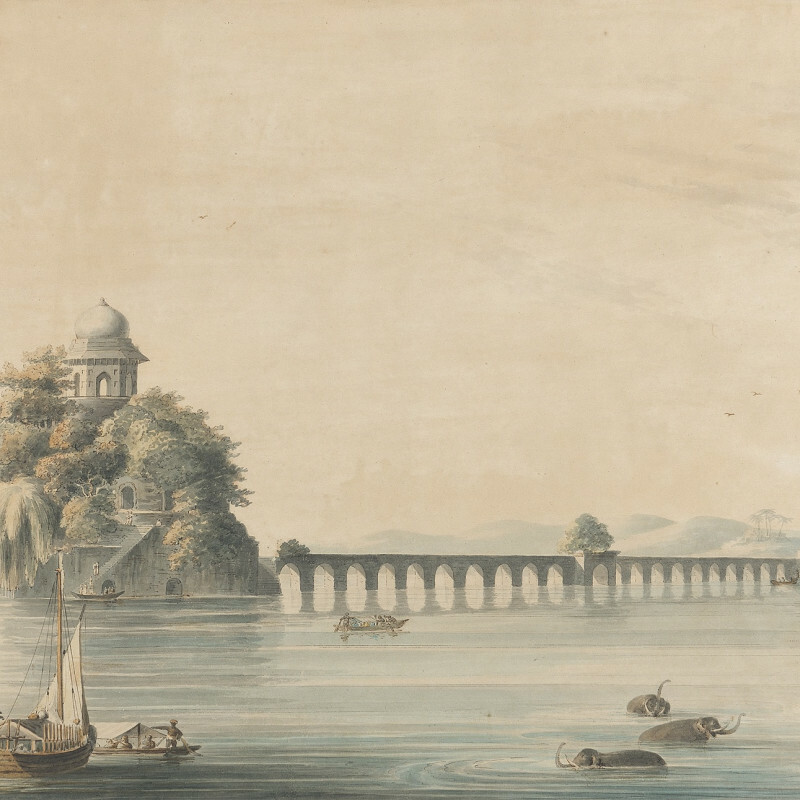 Paintings depicting topographical views of India and botanical studies were produced by various artists in the employment of the East India (John) Company from around 1760 through to the early 19th century. These were known as Company School and proved extremely popular with their British audience, who revelled in the mystique and romance of the sub-Continent. There were two distinct angles of Company School - Indian and British, and it is the latter that this beautiful set of watercolours belongs. The appeal is both academic and sentimental: academic as the historical record of Indian architecture as seen in the early part of the 19th century and sentimental as a panorama of the `wonder that was India' seen through British eyes.